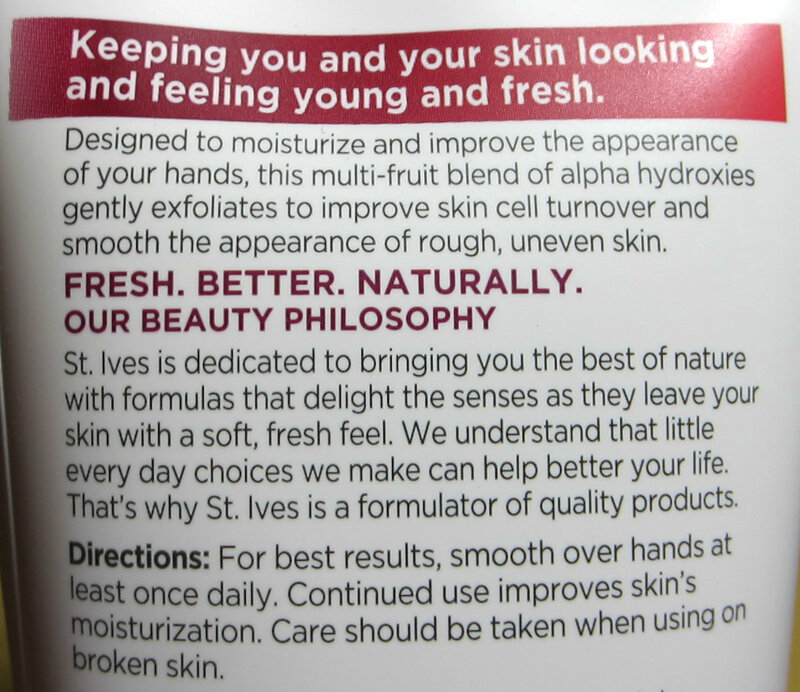 St. Ives has a great new hand cream out that delivers anti-aging properties for smoother, younger looking hands. 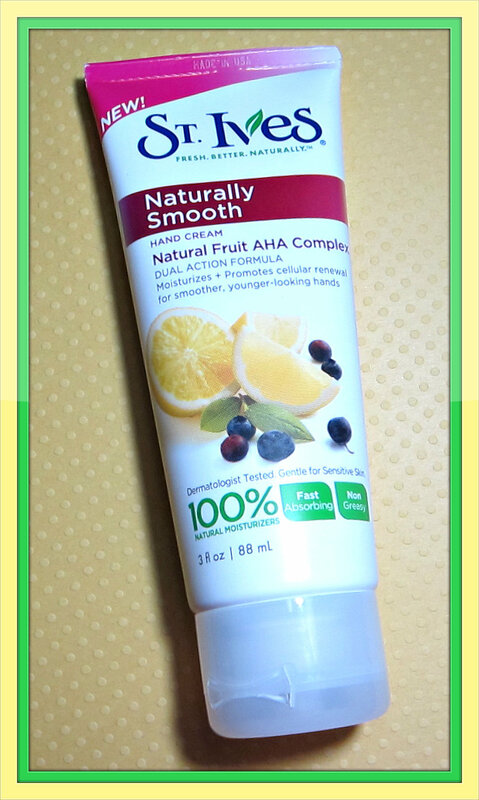 Their Naturally Smooth Hand Cream is a dual action formula that moisturizes and promotes cellular renewal, and it's priced at a very reasonable $2.99 for a 3 fl. oz. tube. 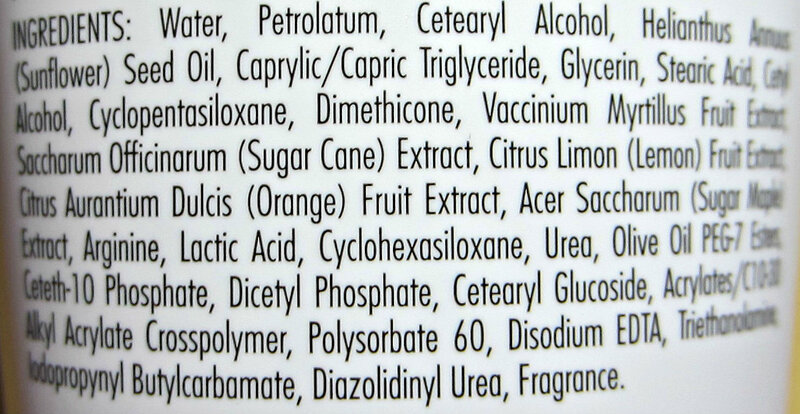 In addition, it's 100% natural, non-greasy, and fast absorbing. I tend to forget that my hands are aging along with my facial skin, and I always seem to pay much more attention to using anti-aging products on my face. AHA products work very well on my face, so I like the fact that the St. Ives product contains AHA's that are derived from natural fruit acids. This is a fairly thick cream that melts right in to my skin and absorbs very quickly. Greasiness? 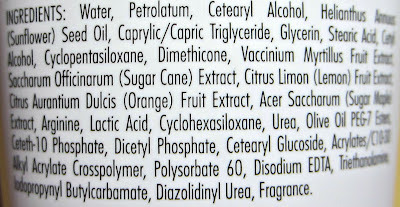 You won't find it in this cream at all! The scent is light and fresh, and my hands stay hydrated, soft, and very smooth looking. The look of dry skin is completely gone, and any wrinkles seem to be blended away. I also rub a little into my cuticles and have also used it to soften my feet. If you're looking for an inexpensive hand cream that performs extremely well, check out this new product from St. Ives. It's currently available at Target stores nationwide.